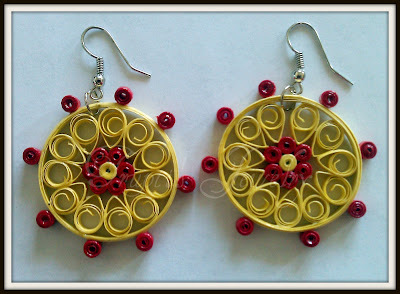 Trupti's Craft: New Ear Ring Designs. 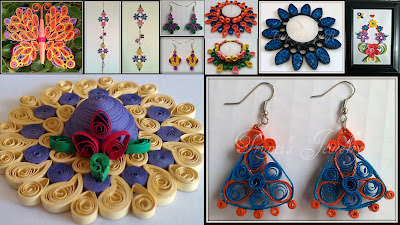 These gorgeous light weight ear rings are hand crafted by the me with the art of paper quilling. All these ear rings are approximately 1 and half inch long. These ear rings are hand varnished to make them sturdy and water resistant. 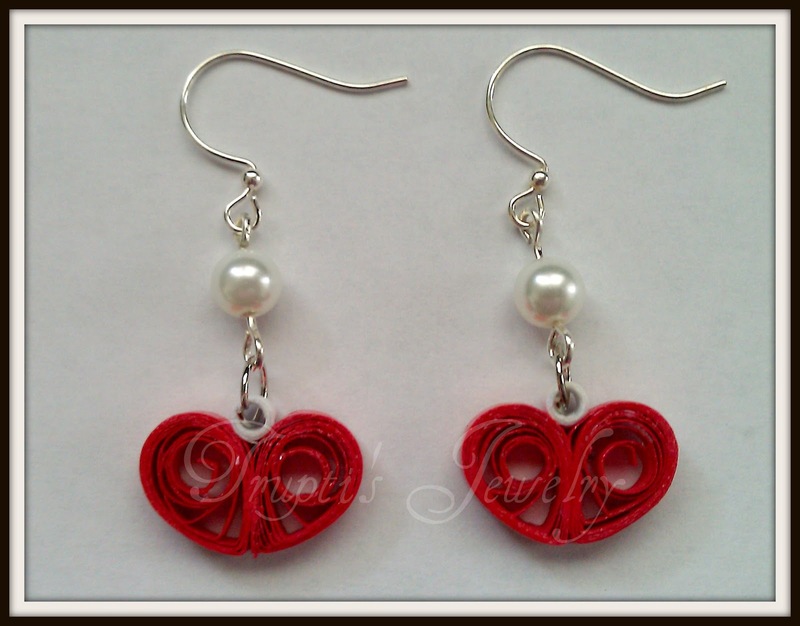 Even though these are water resistant please don't wear them in rain or swimming pool. 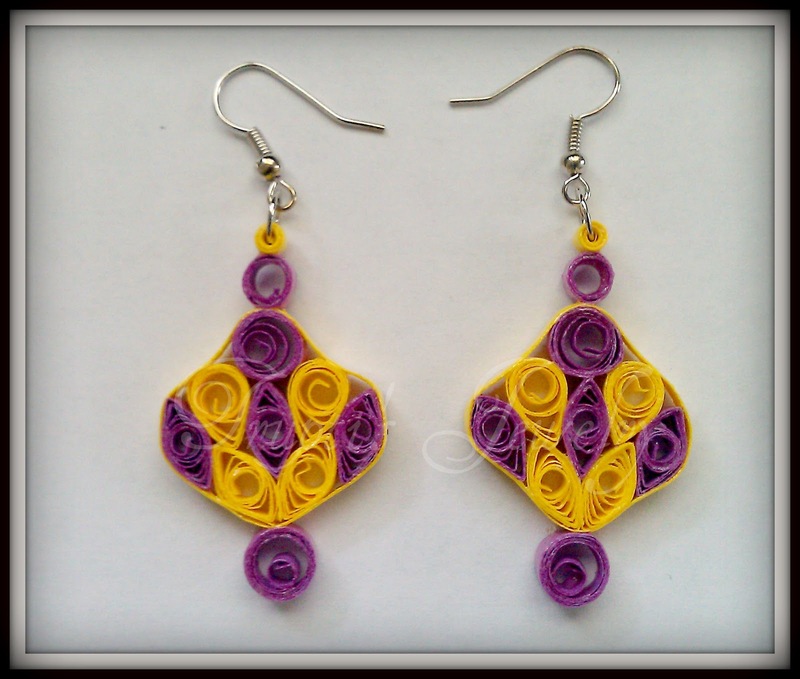 If you do not like the color I can make these in any color that you want. 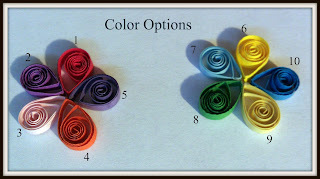 I also added the available colors photo. Let me know color combination when you buy these ear rings.